I like to point out that forefoot running naturally reduces stride length as compared with heel strike running. 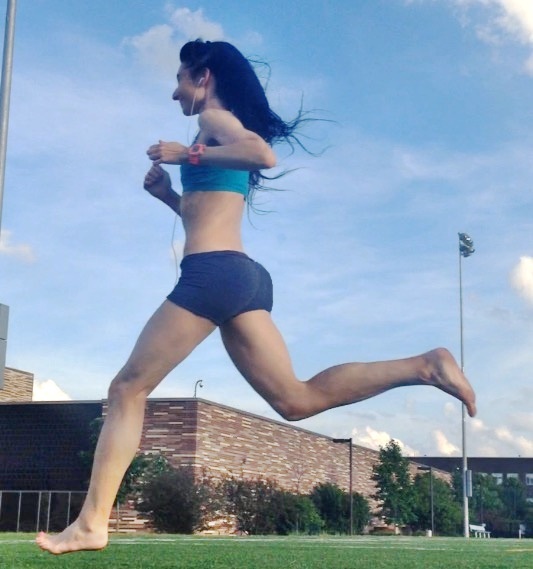 In most cases, heel strike running typically results in a longer stride and presumably over-striding, thereby causing greater braking than a forefoot strike landing, but that does not mean that you cannot have a longer stride in forefoot running. In fact, many new forefoot runners have a stride that is too short because their hip flexors are too tight, mainly from prolong sitting. Greater hip flexion is what you need for leg swing efficiency and less injury risk. 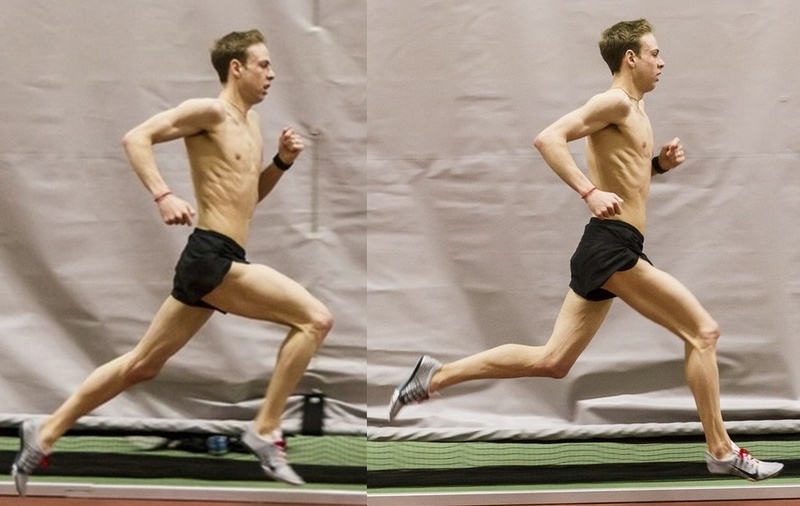 Many elite runners, such as Galen Rupp shown below, who utilize a forefoot strike landing usually have a longer stride than many new forefoot runners. You can widen your stride length when forefoot running without over-striding by bending your knees a little. Never straighten-out your knee upon touchdown as this will cause abrupt braking and eventually, injury. As seen in Gupp’s stride, his high knee drive and longer stride indicates excellent hip flexion as compared with most joggers who have a restricted stride length due to excessively tight hip flexors. You need good hip flexion to have a more efficient stride, but greater hip flexion is also key in protecting the leg from injury. For instance, runners with poor hip flexion had a greater risk of ACL injury (Fong et al., 2011). A newer study found that greater hip flexion, in addition to avoiding heel strike when running, resulted in complete cessation of chronic extertional lower leg pain. One way greater hip flexion reduces force pressure on the leg is that during the late swing phase of running gait, greater hip flexion gives a runner more time to align the shin bone in a way that reduces over-striding. So, how to give yourself more hip flexion? Well, I am not a fan of stretching before running, however deep squats gently loosens the hip flexors while strengthening the glutes. Here are some excellent squatting tips on how to do them safely. And remember, don’t be afraid of extending your stride and don’t worry about over-striding –you can’t over-stride if you bend your knees. Don’t be afraid of lengthening your stride just a little bit. The pro’s don’t run with a short choppy stride, so why should you? These have good hip flexibility, which also gives you a higher back-kick, making you run a little faster. Breen et al. GAIT RE-TRAINING TO ALLEVIATE THE SYMPTOMS OF ANTERIOR EXERTIONAL LOWER LEG PAIN: A CASE SERIES. Int j Sports Physio Ther, 2015; 10(1):85-94. Fong, C.M., Blackburn, J.T., Norcross, M.F., Mcgrath, M. and Padua, D.A. (2011) Ankle-dorsiflexion range of motion and landing biomechanics. Journal of Athletic Training 46, 5-10.